You may have an L-shaped layout or a U-shaped arrangement and even a G-shaped one, and still might lack something, but with the presence of Essastone Kitchen Benchtop, achieving your dream of enjoying an ideal kitchen environment, is now a reality. Engineered with solid quartz and resin, of which the former dominates the composition, these benchtops are a durable alternative to marble and granite made ones. 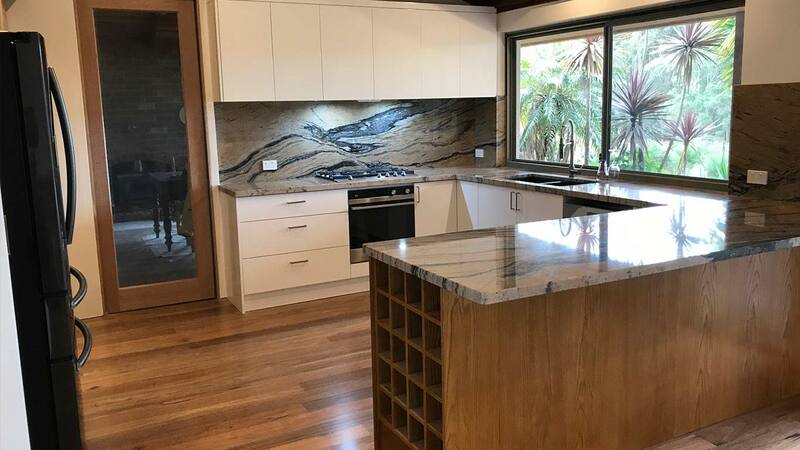 We, the stone specialists of Perth, proudly supply a huge range of Essastone Kitchen Benchtop at an affordable rate, to add to your kitchen decor a classy look. At West Coast Marble & Granite, the Essastone Kitchen Benchtops are a masterpiece, where stunning design marries refinement. What sets them apart from the conventional natural stone variants is the low maintenance factor, exuding natural shine even after years of usage. This saves our users from the hassles of sealing, thereby reducing the time and money invested on it. Let us meet your expectations of a popular choice for kitchen benchtops with essastone, a long-lasting and durable alternative to the natural stone variants. Since we showcase a huge repertoire of essastone made benchtops, available in contemporary hues, you shall never encounter a dearth of choices at our platform.